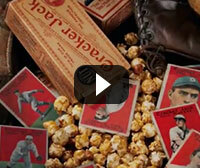 Like any hobby, the world of sports has its share of spectacular collections. There are incredible collections of cards, outstanding mountains of autographs and museum-like holdings of bats and jerseys. Most of the time, these collections are limited to one genre, especially when talking about collections that are built on the best of the best available items. This is not the case when it comes to the unrivaled collection of Thomas Tull. Tull, the founder and CEO of Legendary Pictures and newly-named Board Member of baseball's Hall of Fame, has built a collection of unequaled magnitude. In the following interview, PSA's Joe Orlando sits down with Tull to discuss the passion behind a collection that simply has no peer. Over the past few years, it is clear that the really special collectibles have escalated in price, setting numerous price records at auction. As the market has matured and buyers have become more informed, there is no doubt that there seems to be a greater appreciation for items that are rare or able to be tied to specific years or events. 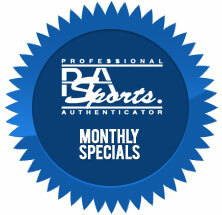 It applies to a variety of items and virtually every sport. 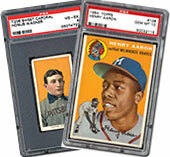 In fact, there have been more six and seven-figure sports collectibles sold in recent times than ever before. In the following article, Joe Orlando discusses this market trend which appears to be here to stay in the world of sports collectibles. There aren't too many sets in either the sports or non-sports world that can contend with the sheer diversity within the 1952 Topps Look 'n See set. This 135-card issue contains a myriad of figures, from Presidents to inventors to composers. How many sets out there contain cards of pirates and scientists? There is even a card of baseball icon Babe Ruth. Over the past several years, this set has really picked up steam in the market as collectors have become drawn to its unique contents and outstanding visual appeal. This year's winner for Best Vintage Non-Sports Set of the Year (1948-1959) ranks #1 on the All-Time Finest list with a current GPA of 8.47 and, during the past year, eclipsed a set that led the category for 10 straight years. Click here for a glimpse of this set. Lelands.com: Final Days of Bidding; Ends January 10. Lelands’ current auction is online, with bidding in progress and concluding on January 10, 2014. This auction features the Red Schoendienst Collection, amazing sports cards, memorabilia and autographs, boxing memorabilia & more, as well as Americana Memorabilia. Mile High Card Company put the finishing touches on a successful and event filled 2013 with a resounding bang, MHCC concluded its Premium Holiday auction on December 19, 2013, and saw tremendous results across the board. There are 917 lots for auction that will end on Thursday January 9, 2014 at 11 PM EST using the 15 minute rule. This auction features many high grade and low pop cards for collectors to complete their sets from the 1950's through the 1970's. There are nice groups of PSA 8 graded vintage cards and a very nice run of modern PSA 10 graded rookie cards. The first 2012 Baltimore Ravens Super Bowl XLVII player ring to hit the market is up for bids along with 1958 Colts NFL Championship Ring, 2000 Ravens Super Bowl Ring and more. Which of the following quarterbacks will gain the most hobby momentum as a result of Wild Card weekend in the NFL?